When I think of a hippo, my mind goes to Henrietta Hippo from the New Zoo Revue, a children’s TV show that was playing in the mid 1970s. I liked Henrietta. She wore dresses and skipped, and lived in an suburban environment where the animals spoke with American accents. Somehow, the real hippos don’t measure up. Maybe if they wore skirts? Maybe if they wore swimsuits with polka dots? 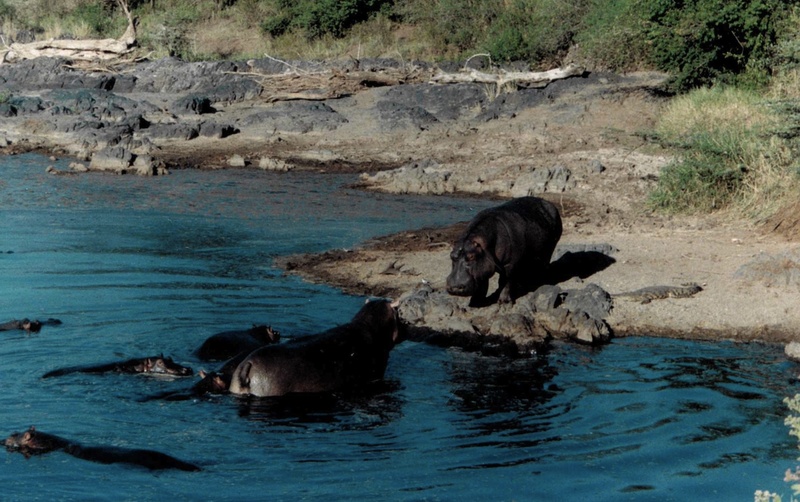 Hippos can hold their breath under water for ages and ages. Just ask anyone who has waited for a hippo to reappear after submerging. Then you spot them again, but only their ears. Hippos are vegetarians but they can be dangerous. 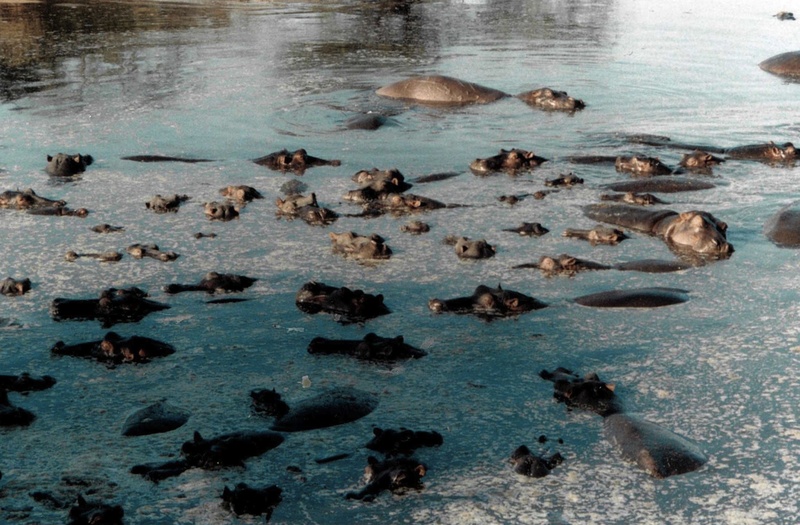 I recall turning away from swimming plans when I noticed a hippo print on the shoreline. They like the water; I like to swim. 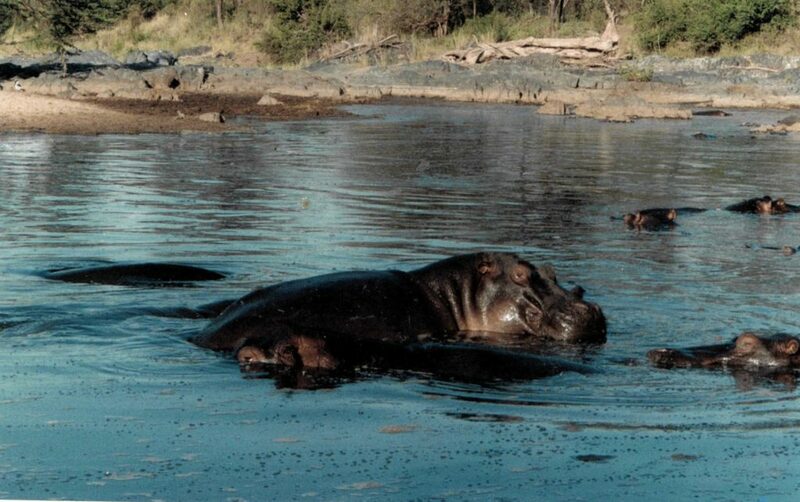 It’s just not smart to share your beach blanket with a hippo. 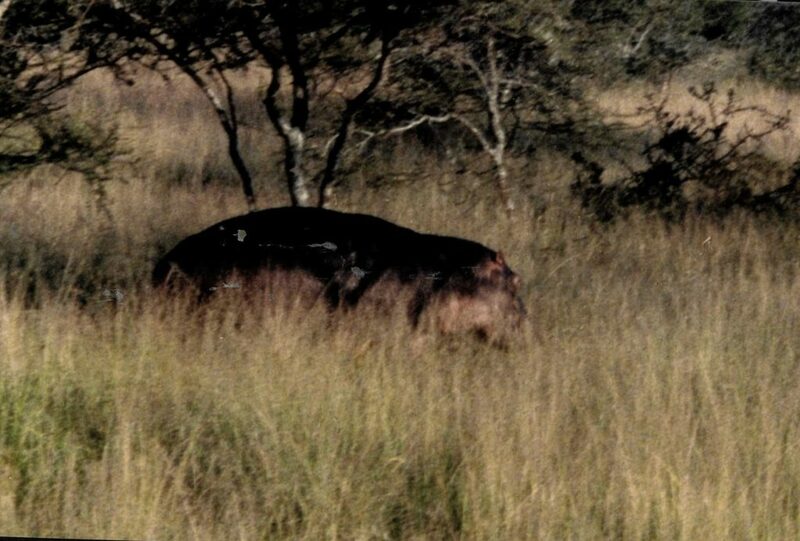 I saw this next hippo trotting in the high grass at dawn. Probably running back to its waterhole before the heat of the day caught up with it. It was odd to see a hippo moving so quickly on land. They weigh tons. Here is a fun video with some interesting HIPPO facts.